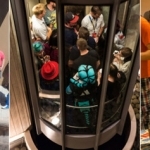 Conventions are a great place to wear costumes, watch panels, and commune with all your favorite fandoms. They’re also a place where dreams come true for fans. This can take the form of getting that autograph you’ve always wished for or spotting your childhood celebrity crush at a Mexican restaurant. 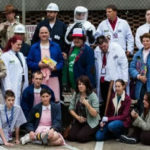 Conventions are the place where people get close to their fantasy worlds and individuals. With most conventions, it is the place where the “moment” happens. I had my moment last year. I got a photo with John Barrowman and Stephen Amell. My face was an embarrassing combination of excitement and being frozen with shyness. 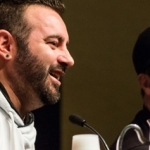 I think the Fandomania crew had some great moments this year with some members of *NSYNC being at Dragon Con. But let me share a more heartwarming story. (Author has permission to tell the story). Imagine the first crush you had on a fictional television character. It probably happened when you were a child. I think for many of us in the 20s-30s age range, we watched the Power Rangers and got our first crush from there. I am admittedly a Tommy (The Green Ranger) fan. 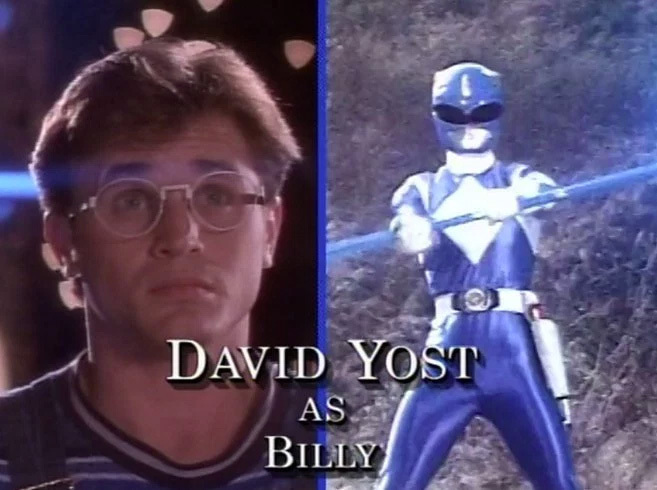 However, my friend’s first crush was on Billy, the Blue Ranger, played by David Yost. Apparently, her child self would daydream about him and try desperately to make a psychic connection to him. I think we have all yearned for that connection with our crushes, fictional or otherwise. Either way, some feelings still linger when decades pass by. Fast forward to Dragon Con of this year. My friend’s face was a mixture of awe and panic. The Blue Ranger was sitting a few tables away, likely enjoying a burrito. Admittedly, I would be freaking out if I saw one of my fan crushes in a restaurant. There is no judgment here. This began a round of teasing and encouragement for her to get that hug. I understand her hesitation to disturb someone out trying to eat or talk with friends. I had a similar experience this year when I met Laura Spencer (The Lizzie Bennet Diaries, Bones) at a wedding I helped cater this year. I was getting teased by the staff to go say hi, etc. I just didn’t want to be rude. She was at a wedding with family and friends. I’m also really shy. Anyway, we told Emily to go for it when he was done eating. A few minutes later, Billy the Blue Ranger exited the restaurant and my friend donned her courage and rushed out. When she came back to the table, bliss radiated from her being. She had gotten the hug she waited decades on. It really is the moment fans wait for. I thought this story was at the heart of what Fandomania is about in many ways. It is the coming together of the shared joy in television, comics, books, and games. 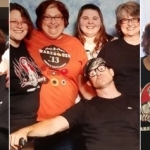 It is the excitement of meeting up at conventions and having fun together. Finally, it is about the dreams of childhood that finally come true for all of us.